Just as purchasing a home is one the biggest decisions of your life, choosing the right Realtor should also be. As a member of the Weichert family, I want to build a lasting relationship by providing personal service and treating my clients like a member of my family. I am an Alabama native and a graduate of Troy University. My husband, Adam Le, was raised in Madison and I am so thrilled for the future growth of the Madison-Huntsville area. Just like no two homes are the same, no two Realtors are the same. Let me provide you with a comfortable, personalized experience and unwavering commitment. I am excited and ready for the opportunity to show you the love I have for the real estate industry and finding you your perfect home. Personal Service With A Difference You probably know how important it is to find the right real estate agent when you are focusing on a financial investment as substantial and as personal as your home. What you should know about me is that, as a Weichert® Sales Associate, I believe wholeheartedly in the unique, personal nature of real estate. You will see that revealed in how I follow through on what I promise, as I carefully guide you through the many steps and decisions along the way. I am fully committed to providing you with what my company calls "The Weichert Difference" a noticeably higher level of service that will make your real estate experience as easy and as stress-free as possible. You can expect from me: -Personal and knowledgeable service that is genuinely responsive to your needs -A "Neighborhood Specialist's" familiarity with local communities, home values, and price trends -Top professional skills continually refined through Weichert training programs respected industry wide -Advice and guidance throughout the entire process -Commitment to help you leverage Weichert's many resources. I can save you valuable time and effort in securing home financing, insurance, and home connections. Feel free to contact me anytime, whether it's to get started on helping you realize your goals and dreams, or just to ask a question. I would welcome the opportunity to make a difference for you. Your decision to purchase or sell your property can be one of the most important commitments of a lifetime. It can be an exciting yet challenging adventure. My commitment as a professional Realtor® is to help guide you through this journey and assist you in finding your ultimate home. Although I have lived in Huntsville for over 35 years now, having grown up in a military family, I understand the unique challenges of relocating and want to ensure your move and transition are as smooth as possible. On a personal note, I enjoy traveling, snorkeling, college football, and indulging in popcorn at the movie theater. My proudest accomplishment has been raising a wonderful independent young daughter who is working as a social worker. However, my utmost passion has always been helping others. I graduated from Grissom High School in 1984 and attended Auburn University for my undergraduate degree in Psychology and graduate degree in Community Agency Counseling. I am a Licensed Professional Counselor and have had the pleasure of working with the school system assisting students with academic, personal, and career objectives for the past 20 years. Prior to this I worked in various counseling positions. My experience in these settings has been an excellent pairing with the world of real estate. I am excited to continue assisting others with one of their most significant ventures. Whether you are investing in your first home, relocating to the area, or looking for that new home to meet your changing needs, my primary objective is to provide exceptional service with the utmost dedication throughout the entire process of buying or selling your property. I look forward to working with you! Matchmaker As an experienced REALTOR, I love being a home matchmaker for my buyers and sellers. As a former military service member, I know how strenuous moving can be, and I will take great care in making the transition as seamless as possible. I am always committed to making my client’s dreams a reality. Using the latest technology, resources, and community partnerships, I can be your one-stop- shop to success! Contact me about buying or selling anywhere in the area. Traveler Travel has always been a part of my life. Born a military brat, I have lived from one coast to the other, and a little in between. My two children know if I’m behind the wheel, there will be sight-seeing no matter where we go. I love finding gems each town has to offer, whether it is the best coffee shop in town or a scenic view. When I’m not exploring I love staying home and painting. I enjoy recreating all of the memories from my travels. Contact me about buying or selling anywhere in your area. Knowledgeable Although my experience and licenses extend throughout Alabama, there is no place like my hometown of Huntsville. It’s where everyone knows your name, and I know it like the back of my hand. I love the live-work-play combination it has to offer, with locally owned businesses, restaurants, parks, and just minutes from surrounding towns. Contact me about buying or selling anywhere in your area. Trustworthy I take great pride in knowing the market conditions and being honest about its realities with my clients. I do exactly what I say I am going to do, setting expectations and living up to them. My clients know I care about them on a personal level, so they trust me to look out for their best interest. If a customer’s perfect home is not on the market, I’ll actually knock on doors to find it. Clients find that commitment surprising; to me it’s just a part of my job. Contact me about buying and selling anywhere in your area. Greeting, my name is Angela Hill affectionately known as Angi. I believe in working with an attitude of serving with excellence. I genuinely care about people and I am committed to help others whenever possible. I have established long lasting relationships because of my passion for people. After thirty years of teaching I retired from education. I enjoyed teaching and seeing students become academically successful. I had the privilege of seeing many attain dreams they thought once unattainable. Ready for a new challenge I considered the possibility of becoming a real estate agent. I have always enjoyed going to open houses, comparing the market in different regions of the country and helping friends find new homes. So, I took the plunge and recently received my real estate license. I am now part of a great group of people at Weichert Realty. I am truly invested in the North Alabama region and I believe my experience and familiarity with the area will be an asset to both buyers and sellers. I moved to Madison, AL from New Jersey by way of Washington D.C. While growing up in the nation’s capital I spent my childhood summers with family in Huntsville, AL. Never in my wildest dreams did I think Huntsville/Madison area would be home. I went to college in Baltimore, MD and while attending graduate school in New Jersey I met my husband. We have been together for many years and have three wonderful daughters and three fantastic sons-in-law. We also have five awesome grandchildren. My husband and I enjoy our time together in ministry, exercising and heading to the ocean whenever possible. I was a fitness instructor for thirty-two years sixteen of those years I worked to help many become physically fit in the Madison area. One of my favorite places to relax is Hilton Head SC. My husband and I also try to travel to one of the Caribbean Islands once a year. We have been to many and I’m not sure we have a favorite they are all wonderful. My grandchildren keep me very busy with dance recitals, soccer games, and challenging me to Pac man competitions just to name a few. One of my greatest joys is to hang out with them. I have always loved serving people and look forward to being able to help facilitate someone purchase their first home, or perhaps see the reality of buying their dream home. I am excited about the endless possibilities. Hello everyone, I've been in the service industry interacting and engaging with customers since the age of 16. I've always gotten satisfaction from helping people find what they need. You just can't put a price on making a customer smile and have them tell you that you made their day. I enjoy relaxing on my off days playing with my two-year old and watching HGTV. "Motivated, Driven, Caring, Genuine" Antionette Johnson loves helping people whether it’s a home sale or purchase because sometimes home buying or selling your home could be stressful, challenging, emotional, and life changing but never panic that’s exactly what I'm here for to support and help!!! I grew up in Athens, Alabama and graduated from Tanner High School. I'm a proud mother of one. I always had an eye for real estate and decide to purse my passion. Just remember I'm just not here to help you find a house. I'm here to help you find your HOME!!! Antonio L. McGinnis is a native of Huntsville Alabama. He is married to Mitzi Wade McGinnis and together they have three sons Kendall, AJ and Ian. He attended Butler High school where in 1991 was named city MVP in basketball and was also awarded first team all-state honors. After graduating from Butler High School in 1991 he went on to attend Texas A&M University where he received a Bachelor of Science degree in Journalism. While attending Texas A&M he was a member of the Men’s Basketball team where he lettered four years and in his senior year was selected as a member of the Southwestern Conference All Conference Team. After completing his stay at TAMU he traveled the globe playing professional basketball in Slovenia and Australia. In June of 2012 he was inducted into the Boys and Girls Club Hall of Fame and on April 1, 2013 he was inducted into the Huntsville Madison County Sports Hall of Fame. In August of 2012 Tony was named Young Professional of The Year by the Huntsville Madison County Chamber of Commerce. After spending the past 9 years as a real estate investor Antonio decided to become a realtor and in 2018 he became official. I am fully committed to providing you with what my company calls "The Weichert Difference" a noticeably higher level of service that will make your real estate experience as easy and as stress-free as possible. You can expect from me: -Personal and knowledgeable service that is genuinely responsive to your needs -A "Neighborhood Specialist's" familiarity with local communities, home values, and price trends -Top professional skills continually refined through Weichert training programs respected industry wide -Advice and guidance throughout the entire process -Commitment to help you leverage Weichert's many resources. I can save you valuable time and effort in securing home financing, insurance, and home connections. Feel free to contact me anytime, whether it's to get started on helping you realize your goals and dreams, or just to ask a question. I would welcome the opportunity to make a difference for you. Let me be your guiding light. Buying or selling a home can be both, exciting and stressful. It is my job to try to take as much of the stress and hassle out of the equation by answering questions along the way, and making sure the process flows as efficiently as possible. When selling a home, you want to make sure you have all the right resources available to get your home marketed well in order to attract the most potential buyers as possible. When buying a home, you need someone in your corner that can help you find that dream home within your budget. I am here to help no matter which side of the fence on which you happen to find yourself. Let me help put your mind at ease, and make the buying or selling process as easy as possible for you. I was born and raised in the area, and know what beauty it has to offer. Let’s find you your own little slice of this heaven. Bruce Vick is a non-native of Alabama but hand-picked North Alabama for his family all the way from Florida. Moving his family here in 2012 for better opportunities, a better lifestyle and fishing. He is a small-town guy, with big dreams for his life and family. With his past work experience in customer service he takes a meticulous and dedicated approach to everything he touches no matter the size. Informing his customers of all the necessary information, so that they may make an informed decision. Bruce has had an interest in real estate since he was a teenager. Therefore, that led him to a WEICHERT, REALTORS® booth at a job fair in 2015. Where he grabbed a brochure that lit a spark cumulating into today. Now on his way to being a real estate sales professional with WEICHERT, REALTORS® - The Space Place. The City/Country Realtor! I was born and raised on the South Side of Chicago, lived in Texas many years and now live in Alabama. With my living in so many different states, I have a multicultural way of thinking. This may be the reason I chose the Monrovia area to live and sell homes. The Monrovia area offers a city (Providence and Bridge Street) and country (Madison County) lifestyle. Growing up in Chicago, I was exposed to the arts and city life. I went to many plays, musicals, museums and sports events. I was on the High School (Kenwood Academy), softball and track team. After graduating Kenwood Academy, I went to Jarvis Christian College, in Hawkins Texas. After attending Jarvis Christian College, Majored in Business Management, I managed several retail stores and a call center. During the 17 years I lived in Texas, I learned how to fish, eat country fried steak and love the Dallas Cowboys. My parents retired from the Chicago School System and moved to their home of Huntsville, Alabama. I then decided it was time to spend time with them, since I am an only child. Since moving to Huntsville, I have gotten married, have two grown children and three grandchildren. I enjoy spending time with my family and traveling. I have been in Huntsville 12 years and now pursuing my dream as a Realtor. With many years of retail and call center management experience, I have learned to be a great listener, decision maker and customer service oriented. With every transaction, I will listen to your needs and wants. Allow me to assist YOU in making the best decision for you and your family. Hello! My name is Caroline Sellers, and I am a new salesperson with the Weichert, Realtors family. I am excited to embark on this new adventure in my life. What is life than a grand adventure? I grew up in a small town in Missouri with a great set of parents and three sisters (they all still live there). I moved away to attend college and have been on-the-go ever since. I have lived in Arkansas, Georgia, and Alabama throughout my adult years fulfilling my calling as an educator to students of all ages and some with special needs. I am married to David, an athletic trainer, and we have the most beautiful set of twin daughters, Josi and Dina. Although I have moved occasionally, I have always been a devoted mother, wife, and teacher. My family moved to Huntsville approximately ten years ago. We fell in love with the varieties and opportunities offered here. We love the amount of emphasis on the things that we love- sports, church, and food (probably in that order)! During our time here, we have become very familiar with the surrounding schools systems through work and play. Our daughters played sports all over North Alabama, finishing their athletic career as basketball players for UAH. We have absolutely the best friends and church family. And, there is never a shortage of restaurants to choose from! I have spent the last few years as an empty nester. I’ve taken up swimming and trying to teach myself how to sew. My husband has even bought me two gorgeous Golden Retrievers to keep me busy. I have a desire; however, to put my talents to the test. I know I can use my knowledge of the local school systems and my gift of flexibility to be a helpful part of someone’s home buying or selling. Let me be a part of your next grand adventure! Whether you are buying or selling a home, it can be an exciting and stressful process. As a military member, I completely understand the challenges of moving and the importance of finding a dedicated real estate agent to assist with your transition. I will strive to exceed your expectations and provide results that will "MOVE" you! As both a licensed realtor and home builder I am happy to help with any real estate related needs. When looking for a new home you will not need to guess how much it will cost to remove a wall or update a bathroom, I can give you an accurate and fair quote and help turn any home into your dream home! Hi everyone! My name is Colton Bullard and I am so excited to be a part of Weichert Realtors- The Space Place! I am young, energetic and ambitious… and ready to sell your home or find the perfect home for you! I am a down to earth, fun, hardworking cowboy! A few passions of mine include training barrel horses and home design. In fact, for a while I considered a career in Interior Design. I was very active throughout high school in an organization called Future Business Leaders of America. Through this organization I have gained vast knowledge of business techniques and plans as well as gained many leadership qualities. I knew from the get go that a business field was right for me and real estate was where my passion lead me. With the right marketing plan and business strategies we will be successful in being your agents. Hi, my name is Coty Taylor and I would like to help you buy your dream home. I promise to represent you with honestly and loyalty while you make the biggest decisions for your family. Being a mother myself, I understand the needs of a family. Whether it is the local school, neighborhood or just the right layout, I am committed to finding the right property for you. I will work diligently for you during the entire process of buying or selling to help you realize your goals and dreams. Crystal’s philosophy in Real Estate is the same as the one she holds in life: Treat others the way in which she wants to be treated! Her promise is to communicate from start to finish, and work diligently and urgently to accomplish her client’s goals. As a former Special Education teacher, and current small business owner, Crystal knows the value of time, money, and the importance of organization and efficiency. She and her husband have 5 boys, and knows first hand the significance of schools, neighborhoods, youth programs and churches that fit your needs and lifestyle. Let her help you find your perfect fit! Originally from Detroit, Michigan, my professional journey started in Nashville, Tennessee. After graduating from Tennessee State University with a B.B.A. degree in Business Management, my career in sales and customer service started. Many of those years were in a management role, so I had to be the example of how to build relationships with customers and provide exceptional personalized service at the same time. To be successful doing that, listening to what the customer is saying FIRST, before trying to answer or solve their problem is paramount. How can you help them if you don’t really know what they want, or what is important to them? 6 years ago, my family and I relocated to Huntsville, Alabama. During the relocation process, working with the Realtor, I quickly realized that Real Estate is a business I could transfer all those skills I was great at; listening to the needs of the customer, building lasting relationships, and providing exceptional personalized service – and use them in real estate as a Realtor. Today, as a Realtor with Weichert Realtors – The Space Place, my focus every day will be to show you the Weichert difference – providing the highest level of service that will make your experience with me stress free and extremely easy. From the beginning of our search for either your dream home, your next home, or selling the home you’re in today, you will get a Realtor that will take the time to listen to your needs, provide answers to those difficult questions, but most of all provide exceptional personalize service and be right there every step of the way. I am excited and proud to be a Realtor with Weichert Realtors – The Space Place. I would be honored to put my experience to work for you in exceeding your real estate needs. My name is Deana Hammond and I look forward to assisting you with all your real estate needs. For 17 years as a Labor and Delivery Nurse I helped families through the challenges and celebrated with them in the birth of their child. Today, I look forward to celebrating a different milestone with families in the Huntsville area. Whether you are buying or selling it can be both an exciting and anxious time and I want to be there to help you through the process, just as I did as a nurse. My husband Matt and I moved here in 2006 along with our two children Luke and Lacey. I remember well the emotions I experienced during that transition from the small town of Fort Payne, AL to Huntsville. It was an exciting time with new opportunities for our family, and at the same time I was somewhat overwhelmed with looking for a home, adjusting to a new job, meeting new friends, looking for a new church, looking for childcare, and just finding my way around. Let me help walk you through this life transition along with the power and expertise of the Weichert Team! Buying or selling a home? I’d be happy to help. We can start with what you are looking for. Are you downsizing or need a larger space? Does night life, shopping and dining within walking distance interest you or maybe a quiet peaceful tree lined neighborhood? Do you want to be close to schools, your job or the medical district? Do you have a pet or enjoy hiking or biking? Do energy efficient homes with lower utility costs come in to play? What style of home interests you traditional, contemporary, townhouse or historical? I can help you find what you are looking for. My name is Debe Woods. I’ve lived in the immediate area for over 20 years. I’ve also been relocated from as far north as Alaska and south as Florida. Living in small towns, large metropolitan areas and everything in between. I understand the moving process and what’s important to families whether you’re moving across town or across country. I’ve been in your shoes. I’m a wife and mother. My husband owns a catering business, my oldest son and wonderful grandchildren live in Seattle, second son here in Huntsville and my daughter is proudly serving our country in the US Navy. We enjoy the outdoors, camping, hiking and bicycling. I also enjoy playing the guitar, various crafts and hobbies and am an extensive reader. I have dogs and cats and understand the needs of our furry family members as well. I love this area. Huntsville has so much to offer. There is something here for everyone. My work experience as a senior executive in sales provided me with the attention to detail required in the real estate arena. I’m pleased to be a team member of Weichert Realty, the Space Place. We take pride in offering our customers the most comprehensive service available. We can help with all aspects of securing or selling a home. If you need financing, insurance, home inspections, title search, document recording I’m here to help you. We can answer all your questions and address any concerns you may have. We have the most knowledgeable and dedicated staff available to handle every detail. When you want someone to work with that you can trust and depend on, I’ll be there. Let me help alleviate the stress of the process. Together I’ll help you reach your goal of selling the home you have as quickly as possible or locating the dream home you’re searching for. Call me today and let’s get started. You probably know how important it is to find the right real estate agent when you are focusing on a financial investment as substantial and as personal as your home. What you should know about me is that, as a Weichert® Sales Associate, I believe wholeheartedly in the unique, personal nature of real estate. You will see that revealed in how I follow through on what I promise, as I carefully guide you through the many steps and decisions along the way. I am fully committed to providing you with what my company calls "The Weichert Difference" a noticeably higher level of service that will make your real estate experience as easy and as stress-free as possible. You can expect from me: -Personal and knowledgeable service that is genuinely responsive to your needs -A "Neighborhood Specialist's" familiarity with local communities, home values, and price trends -Top professional skills continually refined through Weichert training programs respected industry wide -Advice and guidance throughout the entire process -Commitment to help you leverage Weichert's many resources. I can save you valuable time and effort in securing home financing, insurance, and home connections. Feel free to contact me anytime, whether it's to get started on helping you realize your goals and dreams, or just to ask a question. I would welcome the opportunity to make a difference for you. After 26 1/2 years in law enforcement, I decided to retire and start a new chapter in my life and career. I have always enjoyed helping people, so now I would like to help them in a different way... by helping them to find a home that fits their needs. I was born and raised in Huntsville, and I retired from the Madison Police Department in 2015, so I am very familiar with the area. I graduated from Auburn University in 1987 with a Bachelor of Science degree in International Business and have lived in the Madison/Huntsville area ever since. Recently, I joined the Property Management Team at Weichert Realty - The Space Place, and I looked forward to this new venture at WRTSP. So if you are looking for a home to purchase or rent, please give me a call, and I will do the best I can to help you find that perfect home! As a licensed real estate agent, a member of the Huntsville Area Association of Realtors, and 20 years of experience in customer service and interior design, I am well equipped to assist you in your real estate needs. Working as an Interior Design Consultant has brought a great amount of personal satisfaction every time one of my customer’s dreams were realized. Building lasting relationships with my clients is of significant importance to me, so that we can work together to make your dreams a reality. Selling or purchasing a house is one of your largest financial investments and requires making well-informed decisions. As a professional realtor you have my guaranteed commitment that I will provide you with the most accurate information that will lead your family into a new season of wonderful memories. I welcome the opportunity to speak with you about any real estate needs you have. I am a Real Estate Professional that is a native of Huntsville Alabama with 10 years of experience as well as 35 years’ experience with the Nuclear Industry. Being a Huntsvillian, I have a thorough knowledge of the North Alabama area. With my professional experience and knowledge, I implement a detailed and systematic approach to ensure my clients understand the real estate process. My goal is to provide clients with the utmost care, respect and seek to provide the best service possible. With this goal in mind, I strive to demonstrate professionalism and a strong work ethic to ensure that your experience is stress free. Whether you are interested in residential or commercial properties, I am committed to providing superior marketing and representation throughout the real estate process. If you want results, contact me at Weichert Realtors-The Space Place. Hello, my name is Etta Stewart. I'm affectionately known as Ms. Etta among family and friends. I was born and raised in a small rural community in Georgia where everyone still looks out for each other. Growing up there taught me the importance of caring for and helping others. This is one of the reasons the real estate industry is so important to me; it allows me to help people find a place where friends and neighbors can become family. As your Realtor I will never lose sight of your needs and what's important to you. Whether it's getting the best selling price for your property or finding you the home of your dreams in your price range. My goal is not to simply sell you a house but to assist you in finding a home. I am determined to be present for you -my clients - ensuring that you receive the type of service I would want someone to provide to me or my family. I will help clients rest easy knowing that I am putting in the necessary effort to make their transition as smooth and easy as possible. It will be my honor and privilege to assist you and those you know with fulfilling your real estate needs. Whether you're moving to, from, or around Huntsville, Northern Alabama, or the country, give me a call, I am here to help. Hilda Alexander is passionate about helping her clients reach their goals by matching people with a place to call home. No stranger to hard work Hilda understands the significance a space can have when it’s time to come home and kick off your shoes. Being a resident of South East Madison herself, she is familiar with the area and the surrounding areas of Madison County which amplifier her ability to find you exactly what you’re looking for. If you’re looking for someone who is just as passionate and excited about getting you into your next home as you are – give Hilda a call! As a Weichert sales associate, I provide the type of service that I would expect to receive while navigating one of life’s toughest choices. I take pride in being a friendly and professional agent who can give the time and guidance necessary for a smooth transition. I am a firm believer in continued education and following market trends. This allows me the opportunity to share information and knowledge necessary for making educated decisions on, what we all know, is our biggest investment! I initially became a real estate professional 18 years ago when my husband and I bought two investments properties in Florida. Recently, we teamed up and started an apartment rental business here in Huntsville, Al. I am very familiar with the challenges and steps required to relocate. My parents where Spanish immigrants when I was just 7 yrs old, and my husband’s full-time employer has frequently moved us while raising our own children. These life experiences have given me an edge and understanding that I use to guide my clients and minimize stress. I am also fortunate to be fluent in Spanish, and I use this tool to help other migrant families relocating to Rocket City! I look forward to assisting in any way I can! Please feel free to Email, call, text or visit my social media pages for more information. Se Habla Español! Buying or selling a home doesn’t have to be difficult. Moving, whether down the street or around the world, can be one of life’s biggest undertakings. Working with the right professional can make all the difference. As your real estate agent, my job is to keep your role in the purchase or sale of a home simple and worry free. To me, you are more than just a client; you are a unique individual or family with unique needs. You deserve to be treated with fairness and honesty, and have your interests pursued with hard work and professional diligence by someone who genuinely cares. I am a licensed real estate professional with nearly twenty years of executive experience across industries. As part of a military family, I also have significant experience on the client side of the real estate business. I have decided to leverage my personal background and professional skills to offer you the highest quality real estate agent services at Weichert, Realtors. What sets me apart from the crowd: ? Fluent in English, German, and Romanian. ? Familiar with US and international relocation processes, including military. ? Personal understanding of how to minimize the difficulties associated with uprooting your life and family to move to an unfamiliar place. ? Ability to connect you with other trusted professionals both here and abroad to assist with home financing, insurance, moving, home repair, staging, and whatever else you need to achieve a successful result. ? Flexible availability, including nights and weekends. I look forward to the opportunity to speak with you about your real estate needs and to answer any questions you may have. Let me help you make the next step in your life’s journey a smooth one. My pledge to you…Loyalty, Integrity and Exemplary Personal Service. 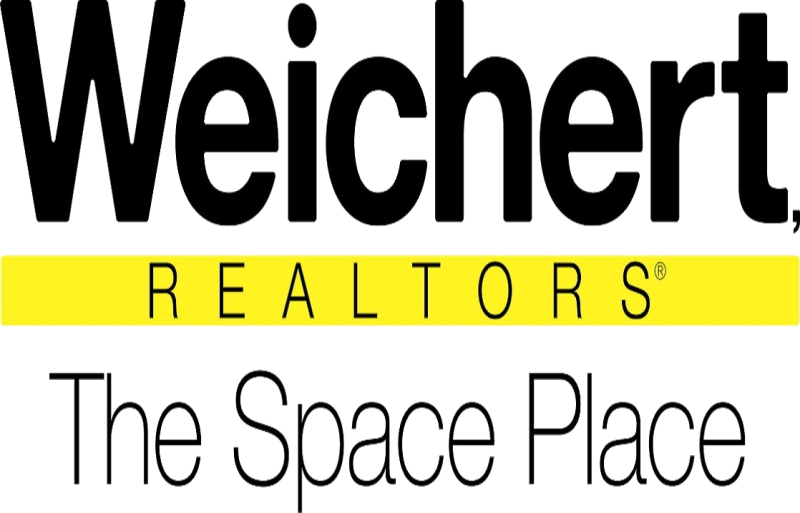 I am extremely proud to be a part of the WEICHERT, REALTORS® – The Space Place team. I am happily married and have three beautiful daughters. Our family moved to Huntsville, AL to be closer to relatives after serving over 20 years in the United States Army. Throughout our time in the military, we quickly learned to appreciate how invaluable a great real estate agent can be. I was drawn to WEICHERT, REALTORS® – The Space Place because of their core values and impeccable reputation for customer service. The experience I gained as a result of numerous moves throughout my military career will ensure I am able to give you the most relevant, timely and accurate information you need to make the best decisions for YOU and YOUR FAMILY! I am a graduate of the United States Military Academy, West Point, NY with a BS in Engineering. I also have a MA in Business Management from Webster University as well as certifications in Applied Education-Project Management from Syracuse University (School of Information Studies) and the American Society of Engineering Management – Engineering Management from the University of Alabama, Huntsville. I have 20+ years of leadership, management and training experience…LET ME PUT THAT EXPERIENCE TO WORK FOR YOU! My family currently resides in Huntsville. My wife is a full-time mom, looking after our three kids. I am an active member of our community and enjoy spending time with friends and loved-ones. I am available anytime to help you with your real estate needs. Please don’t hesitate to call me with any questions you might have pertaining to buying or selling your home. I am ready and willing to work with you and look forward to the opportunity! Jay (Jacob) I'Konn has been a Private Banker, Financial Planner and a Mortgage Consultant before choosing to be a Realtor. A career having been involved with Asset building and Wealth management taught him that assisting with a Residential Asset is not only very personal and emotional but even more challenging and rewarding. Irrespective of the investment involved, there cannot be an Asset that is so close to one's heart than their Home. His listening and resolution skills equip him well to identify and understand the needs and long-term goals of his clients and offer them the best possible solutions. He strives to be up to date with market knowledge and technical expertise so that his clients can make the best informed decision. A listing and buyer specialist servicing the greater Huntsville, Madison, Harvest and Guntersville locations. Jay is actively involved with nonprofit organizations in his community and is known to sponsor events bringing people together. He is also a trained Military On the Move specialist. Additionally, being an active member of many networking groups help him to know the community at large and be a part of its development. Buying or selling, Jay will assist you throughout the process to make your decision less stressful and a lot rewarding. Let him make your home dreams come true. As a retired military professional who served this great nation for 32 years, I believe every American whose dream is of owning a home – can and should; I believe every existing homeowner who wishes to sell or buy new should be able to do so without a lot of stress; and I also believe buying or selling a home because you are relocating to or from Huntsville or other parts of Northern Alabama should be hassle free. Why? Because I understand. I have personally experienced these situations and I want to help make your real estate experience as pleasant as possible. In 2008, I relocated to Huntsville from Fort Rucker, AL (Enterprise, AL) to work as a government contractor. I am married to my wonderful spouse, Patsy Miller-Stallworth. Together we share one son, James DeVonte Stallworth. Outdoors - I enjoy fishing, camping, photography, maintaining my yard, and gardening. When I can’t get outside, I enjoy watching TV (action movies, football, and basketball), as well as gaming whether on my smart phone, computer, or game system. I have earned multiple college degrees, culminating with a Master of Business Administration, Project Management from Grantham University. I am a retired Sergeant Major who served in the U.S. Army for 32 years. My specialties in the military, include Field Artillery (Fire Direction Control) and Aviation (Air Traffic Control and Aviation Operations). I served most of my military career as an Air Traffic Controller, Training Specialist, and Senior Enlisted Advisor to US Army Commanding Officers. I continued performing training related jobs with government contract companies after I retired from the Army. Currently, I am enjoying my third career as a full-time real estate professional. WHAT CAN YOU EXPECT FROM ME? Foremost, I demonstrate integrity. I believe in being transparent. Investing time to understand your needs and committing to help satisfy them. Providing quality service and demonstrating genuine concern for satisfying your needs. Exhibiting familiarity with local communities, home values, and price trends. Providing advice and guidance throughout the entire real estate transaction process. Assisting you with utilizing Weichert's many resources. Helping you save valuable time and effort by recommending the best sources for securing home financing, insurance, and home connections. I can help you REMOVE the STRESS from buying or selling a home! My name is Jamie Summerville, and I am a lifelong native of Madison County. I have deep roots and a deep love for this area, because my family name has been in this county alone for over a century. I come from a long line of entrepreneurs who have built businesses from the ground up, and thrived in North Alabama. My parents own multiple businesses in the Meridianville area, and I grew up with the opportunity, as well as the responsibility, of working in the family business. I am a graduate of Hazel Green High School, and I hold a Bachelor’s Degree from Athens State University. In my free time, I enjoy running, spending time outdoors with my husband and our two sons, and playing an active role in our church. In recent years I have also allocated a lot of my free time to an organization called Big Brothers Big Sisters of North Alabama, and coaching youth soccer teams. As I’ve matured, both in my professional and personal life, I have discovered that I truly have a passion for helping others. Simply stated, it’s what brings me joy. Pairing that servants heart, with the blessing of my education, and growing up in the midst of an entrepreneurial family, has led me to my career in Real Estate. I am so fortunate to be a part of a team as exceptional as Weichert, and I would be honored to be a part of your home buying or selling experience. I value your trust and your time, and I promise to help you find what is right for you and your family. I’m a native of New York, but I’ve lived in north Alabama for the past 25 years and I’ve found the area to be quite wonderful, especially for raising my family. I’ve spent 20 years delivering results in the world of customer service, and the past 15 years as a results-driven management professional for a company in the top 25 of Fortune 500 companies. My top priority has been providing the utmost in satisfaction and service to my customers. In the pursuit of offering the best results, I bring the following skills to bear: Team Building, Root Cause Analysis, Performance Management, Sales, Quality Assurance, and Account Management. I absolutely love working hand in hand with people and will be one of the most cordial, dedicated, and hardworking individuals you will ever meet. I’m thoroughly committed to your satisfaction and I look forward to working with you in the near future. Hi, I’m Jennifer Andrews and I have been proud to call Huntsville my home since 1992. In my downtime, I love camping at the many beautiful campsites in the area and floating along the scenic rivers of the Tennessee Valley. If I'm not on the river, you can find me singing karaoke with my friends or catching the local bands playing around town. In 2009, I received my Bachelors of Science Degree in Interior Design. While attending the University of Montevallo, my junior class was very honored to be published in the 2008 Birmingham Home and Garden magazine. The loft that was featured, was associated with the literacy council's loft tour 2008. I designed the sets Seussical the Musical and Rocky Horror Picture Show for my senior internship. I have lots of love for musicals. So when I was given the opportunity I couldn't say no. Later I was asked again to design the set Picasso at the Lapin Agile. With over 15 years of customer service and sales experience, I work to provide the best possible service and experience for my clients. I am with my clients every step of the way. I believe in “The Weichert Difference.” Our team works together to provide a higher level of service that makes the real estate experience as stress-free as possible. Please feel free to contact me with any of your real estate needs. It would be my honor to assist you. I look forward to hearing from you! I was born in Decatur, AL and lived there many years. I have lived in Limestone County the past 21 years but have worked and made many friends in Huntsville. I know the market well and can assist in any area to help you find or sell your home. I like a more personal approach and try to make this process stress free for you by staying in touch and keeping you informed. When I'm not working with clients I enjoy spending time with my two dogs and other family. I help in animal rescue and I volunteer where I can. People are my passion! I love finding the right home for my buyer and the right buyer for my seller. After working in customer service for over a decade, I understand what it means to work with someone you can rely on. I believe that the process of buying or selling a home should be easy, stress-free, and even a little fun. I will always go above and beyond I pride myself on knowing the market conditions and being honest about its realities with my clients. I do exactly what I say I am going to do, setting expectations and living up to them. My clients know I care about them on a personal level, so they trust me to look out for their best interests. When I’m not working with clients, I enjoy exploring all the local treasures Huntsville has to offer. Kelly Holder BIO Being a military wife for 18 years has afforded me the chance to live in six different states and Germany—nine moves in all! Many of those moves were made easy by having a great real estate agent guiding the way for us. Having the right real estate agent means having an agent who is committed to helping you buy or sell your home with the highest level of expertise in your local market and with the least amount of hassle or frustration in the process. I understand that every family or individual has specific needs and interests and I will personalize the process to adapt to each unique individual. My goal is to assist you in making your home buying and selling dreams a reality. Nothing is more exciting to me than the gratifying feeling I get from helping people meet their real estate needs. You can count on me to always do what's in your best interest. I pride myself on being honest, trustworthy, and knowledgeable in the real estate market. I know how important it is to find your dream home or get the best offer for your property. I will make it my responsibility to help you achieve those goals. After years in Real Estate I joined WEICHERT, REALTORS® - The Space Place in early November 2009. I work out of the Huntsville office and I specialize in assisting first time home buyers. I service Huntsville and Madison County as well as Morgan, Limestone and Jackson Counties. I am a member of the Huntsville Area Association of Realtors. I was born in Dallas, Texas but have spent most of my life here in Huntsville and consider this my home. My wife, Jamie, and I have been married 23 years and reside in Owens Cross Roads. Jamie enjoys making jewelry and is in the planning stages of making a business out of her hobby. I enjoy motorcycling and hiking Huntsville Land Trust trails with our beagles. I attended Randolph, Jones Valley, Whitesburg and Huntsville High schools before going to Auburn University to study Aviation Management. I spent 30 years in the Automotive Industry and retired from the Corvette Assembly Plant in Bowling Green, Ky. in 2007. Kim was raised in Huntsville and has a very large family in the area; her parents are from Huntsville and Hartselle. She graduated from Lee High School in 1995 and attended Auburn University. Kim brings her skills in restaurant management to the real estate field. She has worked for the Heritage Club for a number of years; for her latter experience she held the position of banquet manager, overseeing any large events that were held at this prestigious private dining club. She is also an avid quilter who finds it is one of the most therapeutic hobbies that she has; to spend an afternoon forgetting about everything and making something that will be enjoyed for a long time. She was taught by her grandmother as a young girl and took many quilting classes at Lydia’s on Madison Street before they closed a few years ago. Always having been curious about a career in Real Estate, I enrolled in the local school here in Huntsville and passed my state exam. I was moving in the direction in finalizing my career plans. The only thing I was hesitant about was, “Could I convince people to buy and sell their homes with me?” I have never been comfortable with haggling with customers. It wasn't until I had my interview with Weichert, Realtors® – The Space Place CEO, Brenda Elliott, and she told me, “If you are selling a customer, you are doing it wrong! A realtor is there to simply educate the client and help them make an informed decision and facilitate their goals of a successful transaction.” I then realized the positive influence I could have in people’s lives. At that moment, everything clicked. I found career where I could truly help people. Being a Realtor allows me to have the business structure I need while having the ability to be a creative thinker and utilize my resourcefulness. I like to think of myself as an Everyday Woman with a strong business sense. My father Clinton, an MBA from Stanford, modeled to me smart business thinking along with objectivity. My mother Deidria, a veteran teacher, showed me how to not only teach but how to explain and inspire. I take joy in relating to people from all walks of life. Having years of customer service and restaurant experience has given me problem solving skills and the ability to anticipate the needs of my customers. I am a California native who has planted my roots here in Huntsville. I have a school age daughter and enjoy being Room Mom Volunteer every year. I will also delight in modeling to my daughter the rewards of hard work. I am excited about my career and passionate about helping my customers with all of their real estate needs. Please let me know if I can help you! I am Leah Burnett, and I am honored to be a member of the Weichert family! Born and raised in Tennessee, I graduated from the University of Tennessee at Martin in 2009. Before transitioning to a career in Real Estate, I worked in the field of youth development, creating and implementing programming and recruiting for non-profits. I now call Alabama home, and I am excited to bring my skills and knowledge to the people of this great state. Please contact me for assistance with any of your Real Estate needs. I look forward to working with you! Lee is a licensed real estate agent with a lot of heart for North Alabama and a 4th generation native of Huntsville. Lee has a genuine love and respect for the Real Estate industry. His step-father was a real estate appraiser and his mother was a Realtor. He worked for Jeff Benton Homes in his younger years as a new construction framer, then owned his own roofing company for many years after that. He has an energy for working with buyers and sellers to make sure they receive the highest level of service possible, in one of the biggest decisions of their life. He would love the opportunity to answer any questions you have about Huntsville, your plans on buying or selling a home, or if you just want to talk college football. You can contact him anytime. Buying or selling property can be an overwhelming and frustrating prospect. Having the right real estate agent with the knowledge & integrity working for you can make the process stress free. Relocating in 1999 from my hometown of Clifton, New Jersey my family moved to Madison, Alabama. I have been married to my husband, Alex since 1983,we have a 23 year old son.After years in banking as well as sales & marketing I believe it was the right decision to be a stay at home mom. I became highly active in the local PTA/PTO as well as local sports and Boy Scouts. In 2005 I decided to make a career change by going into real estate. After graduating from the National School of Realtors I joined Weichert Realtors. I am a proud member of our relocation department and Military On The Move program. Over the years I have gained valuable experience through our continued education courses such as Military Relocation Professional and Green Construction designations. Buying or selling I would be honored to put my experience to work for you in satisfying your real estate needs. After retiring from the government with 39 years of service, I wanted to do something to support the public. I volunteered in many community activities, but something was still missing. As luck would have it, I got a part-time job as an administrative assistant at a real estate firm and that’s when I realized that’s how I wanted to serve the public. Meeting people of different cultural backgrounds seemed to be right up my ally. So, here I am – a real estate agent. As your real estate agent, it is my goal to provide the utmost professionalism and honesty to my clients in achieving their needs whether it is selling or buying. As a retired government employee, I know the importance of setting goals and working hard to achieve those goals. I take pride in maintaining high work ethics which I feel is a big plus in meeting my client’s goals within the timeframe that meets their needs. It is this enthusiasm that I am happy to commit my time and energy to help my client’s complete their transaction in a professional and friendly manner. So, remember – “For all your real estate needs, call Louise. My name is Mandi Hall, I grew up in Madison/Limestone Counties. I currently live in Elkmont, Alabama. I married my best friend Stephen Hall in 2008. We have 3 children together. One girl, Taylor, and two boys, Hayden and Jace. I enjoy spending time with my family and friends. I love spending my time at the ball fields watching my kids play ball, and I love our family nights. I’m a huge Pinterest fan and trying out new ideas. I’m very friendly and outgoing. I always enjoy meeting new people and working with the public. I have worked with customer service in management/human resource department for the past 13 years. I listen and take care of needs on a daily basis. I've always had a great understanding of the need to be available when my clients need me the most and delivering ultimate customer service. I work hard to make sure all my clients achieve their ultimate goal of home ownership. Great things come out of all my transactions! Ready to buy or sell, call me today! (256) 797-4614. Marnie Fautuaalii was born and raised in Germany and came to the great State of Alabama in 1981. Alabama reminds her of the Rheinland-Pfalz region in Germany where she came from. She and her husband raised five awesome kids and now enjoy ten wonderful grandkids. Marnie has vast experience in several different career fields from Computer Manufacturer, to Medical Labs, to Electronics Companies. She has worked in the Real Estate industry in a different capacity, but always dreamed of one day becoming a Real Estate Agent. Marnie understands that buying and selling a home is one of the biggest decisions in her client’s life and views representation and guidance of her clients through this process as a true privilege. Marnie Fautuaalii brings her passion and sharp attention to detail to help buyers in a highly focused search for their new home and to help sellers get the most value for their money. Meeting new people and helping clients find the right place to call home is her passion. Her client dedication and love of helping others is what motivates her most. In her free time, Marnie enjoys cooking for family and friends. She also enjoys crocheting, and hanging out with her cat Melissa. Marnie is still fluent in her native tongue after all these years. Mike Chappell 256 651 7431 Cell Mike.chappell@weichert.com Mike is a longtime resident of Huntsville, having attended Monte Sano Elementary, Huntsville Jr. High and Huntsville High School. After graduating from Birmingham Southern College he returned to Huntsville after marrying the former Sarah Spencer. Mike taught for 32 years in the Huntsville City School system as the drama/theatre director at Butler High School and Huntsville High School respectively. Mike and Sarah have two sons, John Michael and Spencer, both graduates of Huntsville High School. Together, Mike, and Sarah are extremely involved in many city programs and often volunteer their time and talent to such causes as Big Brothers, Big Sisters, The Alzheimer’s and Hospice organizations, as well as the performing arts centers in the city. Mike is passionate about Huntsville and the multi cultural aspects of the city. and stands ready to help you with your real estate needs, be it buying your first home or selling your home of many years. Nicole is a native of the Huntsville/Madison County area. She graduated from University of Alabama - Huntsville in 2013 with a BA in Graphic Design and a Minor in Marketing. Her knowledge and experience with sales, marketing, and photography will help give your home the advantage to set you apart from others. Most importantly, she loves helping people with all their real estate needs. I am a hard-working and dedicated Realtor ready to help you with all of your real estate needs. As an educator of fourteen years, I am caring, loyal, compassionate, and capable of wearing many hats. Whether you are buying, selling, or looking for investment properties, I am excited to assist you with your real estate endeavors. The purchase or sale of real estate is probably the largest asset transfer of your life. Selecting a REALTOR® to represent your interests should be your first decision. Integrity, trust, and patience are three important characteristics in choosing someone to represent your interests. I am knowledgeable of the local residential market as well as the surrounding region. I combine today’s technology with old-fashioned service and hard work. MY CORE VALUES Bringing INTEGRITY in all our dealings Maintaining PROFESSIONAL STANDARDS with clients and colleagues alike. Creating ADDED VALUE through the Weichert Family of Companies Providing PERSONAL SERVICE through responsiveness and attention to detail: We Do What We Say We’ll Do Building REALTIONSHIPS FOR LIFE through constant follow-up Accomplishments: Multi-Million Dollar Producer Star-Maker Recipient Relocation Specialist Floyd Wickerman Master Sales Person Graduate ABR - Accredited Buyer’s Representative Designation CRS - Certified Residential Specialist Background: A proud resident of Madison County since 1999 Thirty years experience as an Educator CEO of “Keep Safe Self Storage” Married for 40 years to Tom Carter One Son, daughter-in-law, both on active duty in US Army; Two Grandkids Active Member of University Baptist Church Member of Madison Optimist Club Member of The National Association of REALTORS® Member of Alabama Association of REALTORS® Member of The Huntsville Board of REALTORS® When it comes time to purchase or sell your next home, put yourself in the hands of a professional team; one that not only knows the market, but who is skilled in negotiating and working through complex situations successfully. Invite me in and I Will bring you results! With over 14 years in the Real Estate industry, I have experience in lending, property management and residential real estate sales. Dedicated to helping your home ownership dreams come true is my goal! As a licensed real estate broker, I bring a proven level of customer service skills to your home buying or selling experience. Communication between your Realtor® and you throughout your entire transaction is the key to a successful sale or purchase. With Weichert, Realtors® Gold Services team on site at our office in Huntsville, we will help you find home loans, a closing attorney, and homeowners insurance all under one roof. Whether you are looking for your new dream home or ready to sell your current home, I am ready to put my real estate experience to work for you. Making homeowners' dreams come true is my goal! Excellent communication and hard work are what I will deliver in your home buying or selling process. I will provide superior customer service to all of my clients. Guaranteed! I look forward to working with you on your next home purchase or sale! I was born in Alabama and raised in a U.S. Army family. As a result, I have lived many places around the world, including 8 different states from Texas to New York, as well as France and Germany. I graduated from high school on Staten Island, NY and returned home for college, earning a Bachelor's Degree in Mathematics at Auburn University. I taught math while attending graduate school at Auburn and I worked as a Software Engineer in the Huntsville area for more than 25 years. My daughter was educated in the Madison City School System, graduated from Auburn University, and is now a teacher in Birmingham. In my down time, I enjoy playing board games, hiking trails, watching & attending college & pro sporting events, live concerts, and live theater. I now bring my organized, detail-oriented background in math and engineering to my dream job as a realtor. I understand that a house is the largest investment most people will make and I am honored to help each client find the perfect home for their family or properly market the home that they have lived in and loved for years. “Helping Good People Get to a Better Place.” This is not just a slogan it is my Life’s Purpose. The past ten years of my life can be summed up in one word: Service. After graduating high school, I enlisted in the Army where I served a tour in Iraq. I also served my community as a Deputy Sheriff (K9) in Cullman County for the last four years. I am also a proud father of three children and have been married to my lovely wife for 7 years. I believe in professionalism and that everyone should have a “pro” in their corner. I believe that true value is determined by referrals of family and friends and not on a single commission check. I believe that your willingness to put your trust in me to provide the same standard of service to your parents, children or friends is the ultimate praise regarding my work ethic and by abilities. I help good people transition from one stage in their life to the next without missing a beat. The way that I do that is by maximizing a broad range of high-quality services that, together with a network of professionals, including my team of assistants, advisors, photographers, videographers and top real estate agents from all over the country, enable me to get your home sold or help you find YOUR DREAM HOME. If you asked my colleagues about me they would describe me as self-motivated… someone who constantly strives to excel… perhaps even an “over achiever.” This is the kind of diligence that’s allowed me to accept a few awards over my professional career, including Rookie of the Year, Executive Club Level Sales Achievement, Directors Award (Top of the Class at the Police Academy), and many others both in Real Estate and other industries. I look forward to building relationships with you and will work diligently to ensure that your adventure in the real estate world is enjoyable. Now that you know how I operate, what I believe and how I achieve it — I have one question for you: Are you ready to smoothly transition to the next phase in your life? You can reach me at 256-708-1511 (call or text anytime). I hope you will allow me to serve you in your real estate experience. A native of Southern California and a second generation real estate agent, Sandra is eager to provide you with an exceptional real estate purchase and/ or selling experience. Sandra made Huntsville her home and has been committed to serving the needs of those in her community in multiple capacities, as she holds a Masters in Social Work and is equipped with some innovative problem solving skills. Sandra strives to earn the trust of every client she works with in addition to providing you with individualized services to ensure your expectations are not only met but exceeded. As the mother of a very handsome 9 year old son, Sandra understands the importance of time, efficiency and organization. Sandra believes that there is nothing that cannot be accomplished through smart work and perseverance. Sandra welcomes an opportunity to help make a difference for you, your family and your business. Wherever you are in your process, Sandra is equipped to help you actualize your dreams! I look forward to working with you. I take pride in sharing my journey with others. I have come a long way in life. I am very proud and pleased how it has shaped over the past years. I am a traveller and I rejoice in the journey rather then worrying about reaching the destination. I grew up in India and came to US in 2014. I have background in Project Management in IT and my project management skills have helped me to transition into becoming a peoples person in Real Estate. I can relate with you if you are someone who is new to United States and I will click with you if you are someone who belongs here :) I have relocated so many times in my life that I have now learned how to make cumbersome into something simple. I prefer to keep my life simple and easy. Real estates gives me an opportunity to touch so many lives everyday. I am glad that I am in a profession where I help people in selling their biggest assets and assist others in buying their dream homes. Everyday brings new challenges and new opportunities which helps me to learn and grow. I live with an ATTITUDE of GRATITUDE. I am passionate about what I do and never think twice going that extra mile for my customers. We at Weichert like putting smile on our clients faces and keys in their pockets. Having lived here in the Huntsville area for the better part of eight years, I have come to appreciate it's charm and diverse markets. I have a passion for helping others that has led me to the real estate industry. Fifteen years as an IT professional has allowed me to hone my problem-solving skills and become an effective negotiator. As your realtor, I promise to conduct all business with integrity and professionalism to ensure that you are well taken care of. I am an avid college football fan and participate in local tennis leagues. Other hobbies include: singing, reading, sci-fi movies and cooking. Please feel free to contact me for your real estate needs. Hello future home buyers/sellers. My name is Sherri McPheeters. I was born and raised in Wahington State but have called Huntsville home for the past 16 years. As the daughter of a builder and wife of a military man, moving has been a way of life for me. With my "nest" empty I have decided to use my time and experience to help others during their moving process. I truly enjoy meeting new people and learning about the journey that has led them to this phase of life. Buying and selling homes has the potential to be a very anxious time. I am looking forward to having fun, adding humor, and reducing stress in your real estate experience. Tatyana was a Mechanical Engineer, turned Stay at Home Mom, turned Realtor. As someone who was not fulfilled at a 9-5 desk job, she wanted a new career where she could take better control of her life and help others. Her favorite part about being a Realtor is being able to educate others about the home buying and selling process, and guiding them through one of the biggest decisions of their life. As someone who has moved around a lot, Tatyana understands the importance of finding the RIGHT home for you, your family, and fur-babies. She understands hard work and how to get a job done. She is the kind of person who can complete a Masters in Mechanical Engineering while working full-time and planning a wedding. Her love of teaching others and her interest in real estate has led her to becoming a Realtor. With a great team behind her, give her the chance to help you buy or sell your next home. In her free time, Tatyana enjoys spending time with her husband, toddler, and 2 rescue dogs. Her hobbies include crafting, sewing, and building furniture. As a child, visiting the family farm in Cullman, I found I had a keen interest in “real estate,” though I would have expressed it back then as “the dirt, the grass, the air, the water and everything around it.” That interest and curiosity never left me. After raising three sons, being employed more than 20 years in the academic setting, relocating often (due to my husband’s job), and finally settling in the Tennessee Valley, I decided it was time to satisfy that curiosity and enter the real estate profession. I believe my extensive background in the detail-oriented fields of business administration and management, in addition to the many places I’ve lived, has proven to be of great value in the world of real estate. Clients appreciate my flexibility, low pressure sales, patience, ability to listen and hear what a client has to say, as well as my negotiating, analytical and problem-solving skills and, lastly, my ability to accurately price and market a home. Not only is it my goal, but an honor and a privilege, to provide you with excellent service in meeting your real estate needs. Call us or come see us and experience the Weichert difference! I grew up here in Huntsville, attended Whitesburg Christian Academy, Huntsville High School and graduated from The University of Alabama. I love this community and seeing my hometown grow. My husband AJ is also a Huntsville native and together we have found a passion for flipping homes in our community and contributing to improving our city. From our work flipping homes I discovered that the part I love most is working with the people in the buying and selling process. This is what led my to becoming a real estate agent. There is nothing more rewarding to me than seeing a seller being able to happily & comfortably sell their house and witnessing a buyer find a home they adore. Whether you are buying or selling, I am devoted to you and your families dreams and goals. As an agent of WEICHERT, Realtors® - The Space Place, I am confident that I can provide the highest level of expertise in your local market to make the process seamless & enjoyable. Originally from Mumbai India, I came to Huntsville and became a Huntsville Native in 1998. Married for the past 43 years, I have 2 kids (a son and a daughter) and 4 loving grand kids. Prior to working at Weichert Realty, I worked IN THE Banking Industry as a Branch Manager/Vice President. I’m very passionate about my work, mainly working with people, to help make a difference in their lives. I have expertise in the Banking Industry, with knowledge of lending, mortgages, credit and financial literacy. I excel in Customer Service, Sales and have a devotion to work loyally. My passion is to offer seamless assistance to buyers in a highly focused search for their new homes and to help sellers get the most value for their homes. My hard work, devotion to work with loyalty and energy, along with love for helping others, motivates me to maintain high ethical standards. Client dedication ensures my client’s success which is most important to me to help them reach their Real Estate goals. I am totally committed to my clients and believe in following through from the 1st phone call all the way to closing. “WE KNOW WHAT WE ARE, BUT NOT WHAT WE MAY BE”. SPECIALTY: I look forward to helping you with ALL of your real estate needs! My personal interest and continuous study of green real estate practices allows me to better service home buyers and sellers who care about energy-efficient and environmentally conscious home features, services and practices. PERSONAL: In 1993, I relocated to Huntsville from Harrisburg, PA as a result of the Base Realignments and Closures (BRAC) which included the USAMC Catalog Data Activity at New Cumberland. Although my husband and I were NOT happy about moving to Alabama, we now realize that it was truly a blessing in disguise. EDUCATION/MILITARY: After completing my studies at Southern Illinois University-Carbondale and Tarkio College-Brentwood, MO, I received a Bachelor of Science Degree with a major in Personnel Management. I also received an Honorable Discharge after 10 years of service with the Air National Guard of Pennsylvania and the US Air Force Reserves. WORK EXPERIENCE: I served most of my civil service career as a Supply Systems Analyst and Logistics Management Specialist for the Department of the Army. During this time, I also worked real estate investments for 14 years. Currently, I am enjoying my second career as a full-time real estate professional. In addition, I serve as a wellness coach/marketing executive for the leading international wellness company that manufactures and distributes environmentally friendly personal care and cleaning products. WHAT CAN YOU EXPECT FROM ME? Personal and knowledgeable service that is genuinely responsive to your needs. A "Neighborhood Specialist's" familiarity with local communities, home values, and price trends. Top professional skills continually refined through Weichert training programs respected industry wide. Advice and guidance throughout the entire real estate transaction process Commitment to help you leverage Weichert's many resources. I can save you valuable time and effort in securing home financing, insurance, and home connections. I can help you MOVE on with your life!